The packages contain all you need for barcode scanning. Our basic system can handle up to 3,000 products or look at our Epos system that can handle unlimited. If you want to import products from Excel, then look at the Sam4s models as these have software with an import facility. All packages come with a barcode scanner and stand, there is an option to upgrade to faster or handsfree barcode scanners if you have a busy shop with lots of items per customer. Flat keyboard or Raised keyboard. Single line scanner or Multiple line scanner. Quantity of maximum number of barcode plu`s. This is a powerful system that will scan your products and quickly display the name and price on the screen and printer. 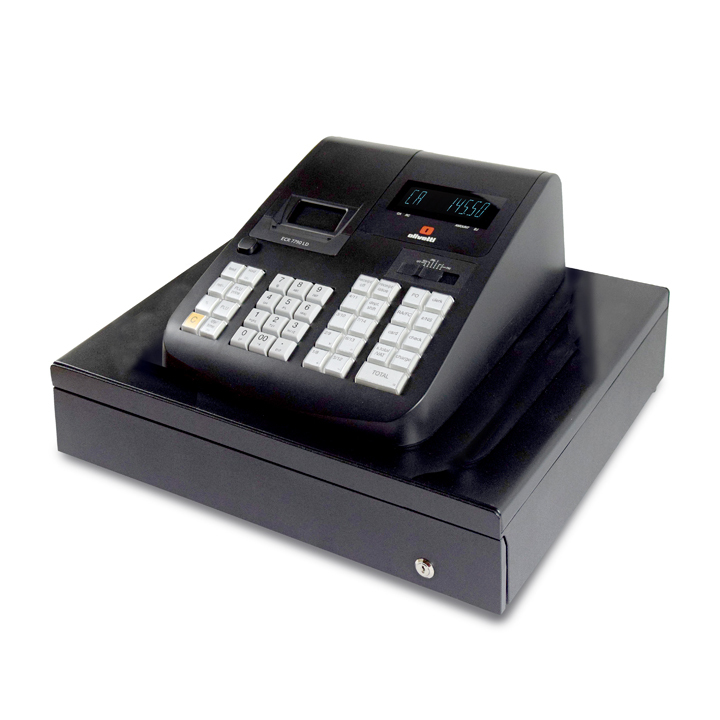 This model can hold up to 3,000 barcodes so its ideal for most shops. This new model from Casio has all the latest functions with Barcode Scanner connection and memory card function means you can export your readings and programming to a Personal Computer. Watch the Casio SE-S400 help videos to see how easy it is to operate. Free support by telephone and training videos available. The machine is one of our best looking systems that we sell. Small footprint of only 330 mm wide by 365 mm long. Can we preload your shop items for you ? If you have a sweet shop, convience store, garage or kiosk let us setup your machine with approx 5,000 barcoded items like crisps, sweets, cigs, etc. This will save you time and make it easier for you ! If you don`t sell these type of items but have your barcodes on a spreadsheet then go for our software that will import from Excel. We have a guide that gives you a step by step instructions for this procedure. 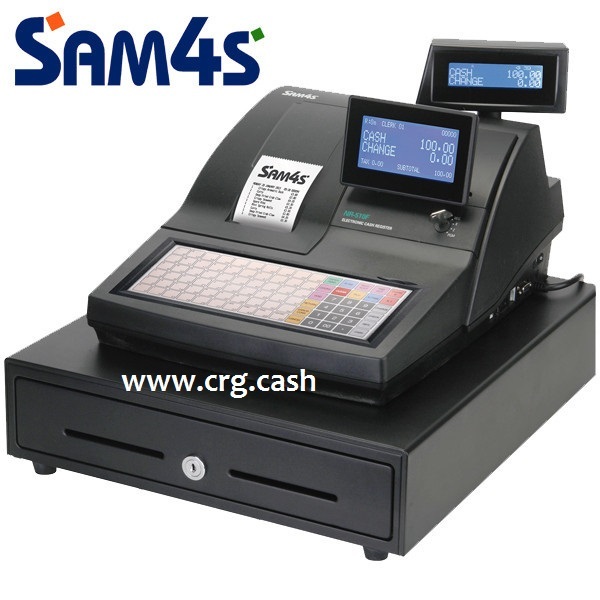 The new Sam4s NR-510R replaces the ER 380 cash register. This Sam4s system will import barcodes from an Excel spreadsheet using the PC software*. We give you a free help sheet to show you how to do this. 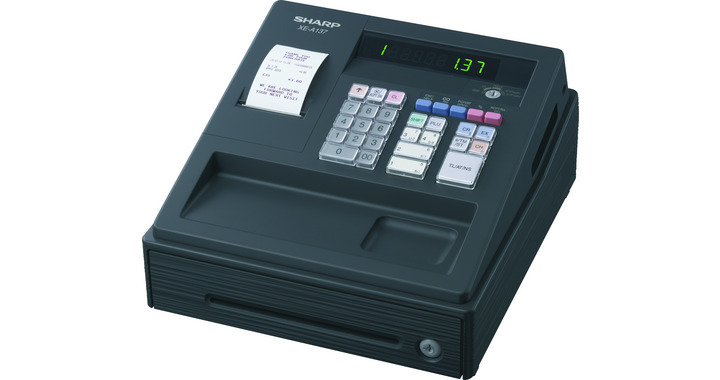 The new Sam4s NR-520 replaces the ER 420 cash register. 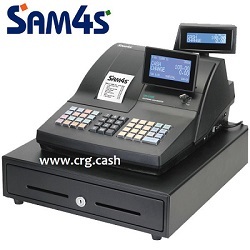 The new Sam4s NR-510F replaces the ER 390 cash register. 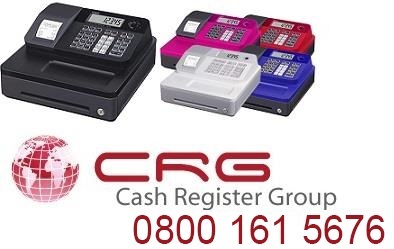 THe Casio V-R200 offers unbeatable value for money in the EPOS sector, allied to the trusted Casio brand makes this deal hard to beat. This system is "Ready to Go" from the time you open the box. 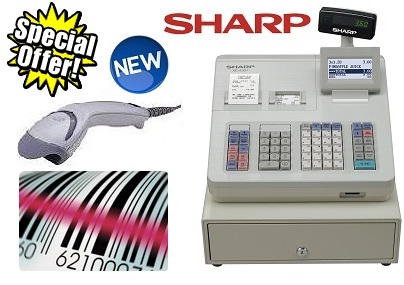 We setup the Epos with a barcode scanner, so you are ready to scan your products. Have as many terminals per branch as you need, all connected to the network. With connection to the Casio CLOUD APPS (additional cost) if you have multiple sites or wish to make changes to price list, export sales data from a different location. Plug in the cash drawer, plug in the barcode scanner, put the paper roll in and your ready to trade. The V-R200 comes with preinstalled apps: Sales information management The V-R100 provides extensive analysis functions that can be categorised by product, department or group. Evaluations can also be made by time period. Customer management The V-R200 links the customer database to turnover data, making it easy to analyse purchasing behaviour, frequency and turnover for each individual customer, thereby enabling you to identify preferred customers, for example. The business support terminal can also send newsletters to customers by email (with their prior consent). Reservation management The V-R200 can make different kinds of customer reservations, including reservations for meals etc. You can use the V-R200 customer management and sales data management tools to manage names of customers and their reservation details. Remote monitoring by email If the V-R200 receives emails with functions or commands, these instructions can be activated automatically. You can also monitor sales data from virtually anywhere with the free emailer APP. Orbit is an aggressive, omnidirectional presentation laser bar code scanner. Lightweight and rugged, Orbit is small in size but BIG in performance. Orbit is Metrologic's first point-of-sale bar code scanner to incorporate holographic technology. 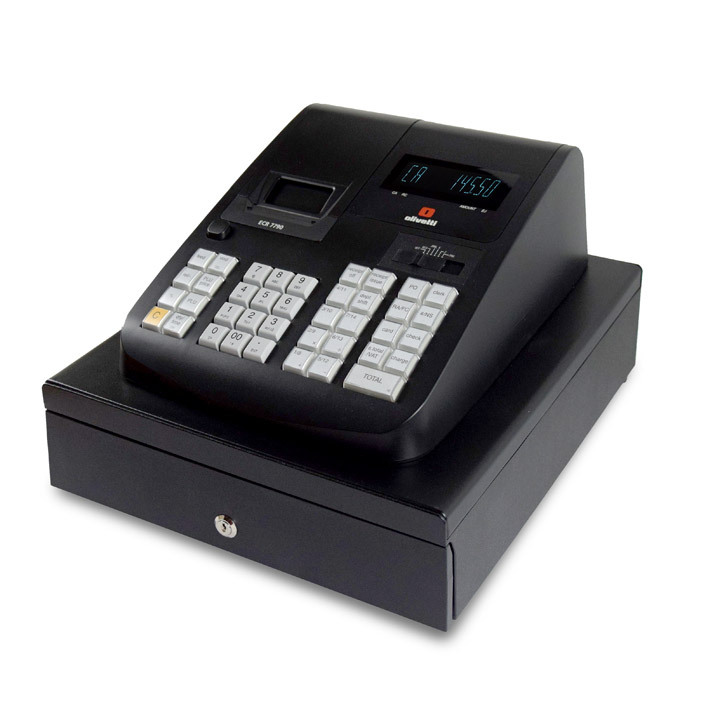 Suitable for cash register and Epos systems. Voyager has been cleared for takeoff! With a futuristic design and advanced scanning system, Voyager is the most advanced single-line, hand-held bar code scanner on the market today.